This is a good feeling. I have written a lot of short stories, and to be honest, my efforts until recently have been poor in trying to get them published. I think this will change, given my recent submissions (cross fingers). Anyway, via my good relationships in the StoryWrite web site, I have contributed 2 short stories toward this massive tome – over 400 pages, written by 41 authors. This is in fact my first publication – albeit this is a non-profit endeavour, and also this is produced via my own company (in fact I edited many of the stories). However, having read the quality of many of the stories, and the effort in producing this professionally made publication, I am happy to count this as a legitimate ‘first’ for me. My stories are some of my best, but I deliberately steered away from my Evyntyde stories: Mariposa, which is a love/modern fantasy story, and The Sea Witch, which is a historical/horror piece. This is non-profit – the price of the publication is for the stuff that had to be paid for to enter the marketplace – printing, ISBN, copyright, distribution and freight. So for such a big product, it is a good price. We could have spent more on the cover, and better proofing, but it would then have been too onerous a task, and would have inflated the price. It is still very good value indeed. I hope that any who read this blog think about buying this – you WILL discover authors in there who WILL make it good in the industry (three are already publishing novels through IFWG Publishing). If you want to order it (if you live in North America), you can go to the bio/title page of Page Dancers, or I will post in this site when it is available on Amazon and Barnes and Noble. 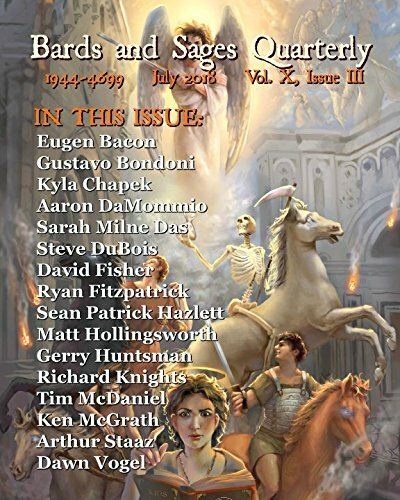 Posted on January 10, 2010 by Gerry HuntmanPosted in UncategorizedTagged publishing, short story, writing.